If you are arriving in Manchester on Friday afternoon, you may be looking to go out on Friday night. Although, not an official part of PHP Unconference Europe, some attendees have suggested meeting up at the following fine establishment. The organizers, therefore, designate this as the pre-unconference meet up point. Date: Friday, 18 February 2011. The first people that get there should tell the bar staff that they are part of the "PHP Unconference Group", so that other people can ask and get pointed into the right direction. This venue is just a few minutes walk from PHP Unconference Europe. I'm actually arriving at Manchester about 4ish, so may grab some food centrally then be propping up the bar from 5ish or so. Search twitter for #phpuceu on the day and lets meet up! I am certain some people will be there before 7pm. 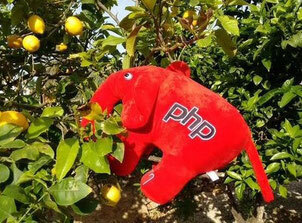 Just keep an eye on Twitter for the latest information - #phpuceu will keep you up to date! @James: Just post your restaurant tips on Twitter - #phpuceu - and I am sure some people will join you for dinner: That is the point of an unconference: Get involved! Share your knowledge with fellow attendees.